I did not get this week’s installment of Captain Cook finished; I had a short stay in the hospital. I’m fine (much to the doctors’ chagrin, all three of them) they ran every test they could and pronounced me in great shape specially for a 50 year old man. They did say I need to rid myself of a few stressors in my life or they will see me again. Everyone have a great week, and I’ll have my next article up soon. Thank you. In the navy, the commander of a ship is always referred to as Captain, regardless of his/her actual rank. 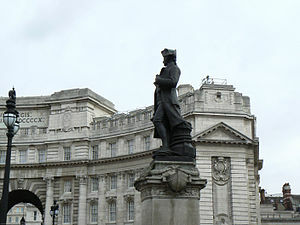 Captain Cook, after his first world voyage, was promoted from lieutenant to commander. On his first voyage, Cook had shown that New Zealand was an island and, by charting the east coastline of Australia, he had shown that Australia was continent sized. However, the Royal Society did not believe that Australia was the fabled Terra Australis. The scientists at the time believed that the landmasses in the northern hemisphere were countered by landmasses of equal mass in the south. This was the Royal Society’s basis for believing that Terra Australis existed. Finding this fabled continent was the reason for Cook’s first voyage, and the reason the Royal Society and His Majesty’s Navy sent Cook on his second voyage (1772-1775). Cook set sail in command of the HMS Resolution, with Tobias Furneaux commanding the HMS Adventure. This voyage he circumnavigated the world at a higher southern latitude. Cook also became the first man to sail below the Antarctic Circle, reaching 71 degrees and 10 minutes South. Cook turned back before reaching the Antarctic mainland, and became separated in fog from the HMS Adventure. Furneaux then sailed the HMS Adventure back to England. Before leaving the Pacific, Cook visited Easter Island, Norfolk Island, and several other islands. Then he sailed round Cape Horn and across the South Atlantic, claiming islands (for Britain) while exploring, surveying, and mapping; before turning north for South Africa and England. 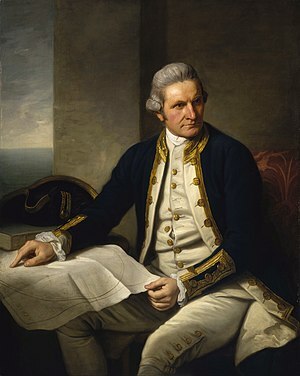 Cook’s reports in England put to rest the belief in the fabled Terra Australis, he was made a fellow of the Royal Society, promoted to post-captain and retired. Once again, Cook was honored and praised upon his return, painted by noted portrait artist Nathaniel Dance-Holland, awarded medals, and praised by Parliament. Cook resisted retirement, but had little choice. Cook’s greatest accomplishment, for the seafaring community at least, was his use of Larcum Kendall’s copy of a John Harrison marine chronometer. 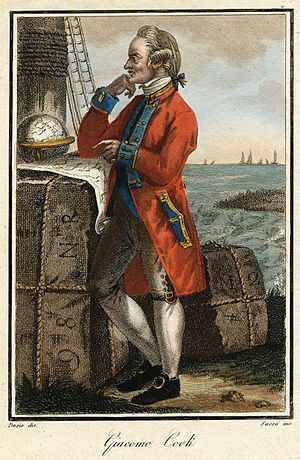 In Cook’s day, finding a ship’s latitude, north or south, was a simple act of taking a sighting on the sun (daytime) or star (at night) and performing the mathematical calculations to arrive at your ship’s north or south position. East and west longitude was not so easy to calculate. The common way mariners navigated was to steer a course for an island with a known longitude and latitude, upon sighting the island they would sail for another known island. This way the navigator could do a fair job of plotting his ship’s progress. This method caused ship’s captains to sail much longer routes. What navigators needed was an extremely accurate timepiece, a chronometer. Many kingdoms around the world were offering prizes for the first person to create just such a marine chronometer, one that was portable and would stand up to the rigors of life at sea. The way a marine chronometer is used to find the ship’s longitude is a simple matter. The chronometer is set to the time at a known place, on English ships this was Greenwich, England (known as Greenwich Mean Time or GMT). The ship would sight the sun with a sextant at the local noontime for the position they were in, this is the time when the sun is at its highest peak in the sky. The time for local noon would be noted, and the ships clocks would be reset to local noon, all clocks except the marine chronometer that is. Then the difference between local noon and Greenwich noon would be noted and the difference would be the difference in longitude. If the local noon happened when it was 1 PM in Greenwich, then the ship was 60 minutes west of Greenwich, which is also 1 degree west of Greenwich or at a longitude of 179⁰ W. Latitude and longitude are divided into degrees, 180⁰ of west and 180⁰ of east longitude. Latitude is divided into 90⁰ north and south latitude. Time on a clock and position in latitude and longitude is directly proportional. One hour in time equals one degree in distance, minute for minute, and second for second. Each degree is divided into 60 minutes, and each minute is divided into 60 seconds; so that 23⁰ 45’ 8” N 119⁰ 17’ 11” W is read, “23 degrees 45 minutes 8 seconds north 119 degrees 17 minutes 11 seconds west.” What the marine chronometer did was to free ships to sail the most direct route from any point on the earth to any point on the earth, in some cases shortening sea voyages by months. This was a huge savings in supplies a ship would have to carry, and for the merchant marine, less travel time meant more voyages and more income. This also meant that ships could now sail anywhere in the world, and know precisely where they were, something never possible before. A year later, a voyage was planned to find the fabled Northwest Passage. 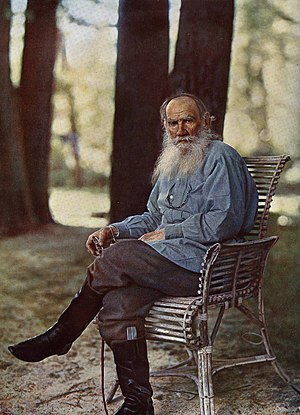 Cook, chafing in retirement, volunteered to lead the expedition. This was Cook’s third and last expedition, one from which he would never return. But, oh what an expedition it was. For now though, we will leave Cook in his unwanted retirement. I have been blessed in my life to have the opportunity to travel the world, and quite literally sail the seven seas. I seen so many interesting places, and met so many wonderful people. I have learned much in all my travels, and have cherished each experience, and each teacher. One of the things I have learned my travels; in the entire world, there is only one thing made by the hand of man that is truly infinite. My library. I purchased yet another new book this week. I may have grown up poor in the Deep South, but I learned early on poverty would only hold me back if I allowed it too. As a small boy; I sailed on the whaler Pequod, raced dog sleds in Alaska, whitewashed a fence in Missouri, and captured Spanish treasures ships with Captain Edward Teach onboard the Queen Anne’s Revenge. Some of the places I read about as a boy, I visited as a man. This week, while I should have been working on my article, I was enjoying the latest edition of my always-expanding library, Invented Voices by Donald Newlove. Invented Voices is a book of dialogue from some of the world’s greatest movies, plays, scripts, poems, and novels. While in my moment of solitude, I remembered what I liked about many of the scenes Mr. Newlove shared. It was the originality and honesty of those dialogues. Dialogues from artists, for these people are more than authors, of people like Ernest Hemingway, William Shakespeare, Herman Melville, Anne Tyler, Stephen Crane, Leo Tolstoy, and so many more. To be sure, the originality and honesty is that of the author’s. More important, the originality and honesty is that of the characters. In each of these works, we came to know people like Captain Ahab and Elizabeth Bennet, just as surely, as if we had been properly introduced to them. I also remembered reading the intro to a book by an independent author, someone I had never heard of before. The first sentence stated that this book was written in the style of “Stephen King, Ernest Hemingway, and James Patterson.” No, I did not download the book, even though it did have a catchy title. Although, I do have to admit, I almost downloaded the book just to see how you could combine these three styles. In the classics (and soon to be classics), the character is as real, and as original as you or me. 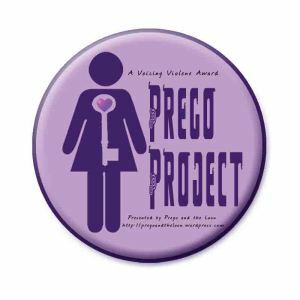 The author stepped back and allowed the character to speak their own words, in their own voice. 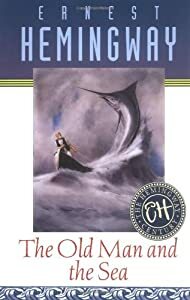 If Hemingway had written in the style of Mark Twain the old man in The Old Man and the Sea, would have been contrived, forced, and false. The words and thoughts would not have been those of the old man, but of Ernest himself trying to be Mark Twain. The author is merely the soapbox the character stands upon to shout their words to the world. When I want to read Ernest Hemingway, I read Ernest Hemingway. When I want to read Stephen King, I read Stephen King. When I want to read Scott (http://wp.me/IYiO) or Sheri (http://wp.me/P2IjCG-2), I read Scott or Sheri. Each person, throughout all time, has a voice that is unique and their own. It does not matter if that person is you, Tom Sawyer, or me. Each of us is at our best when we allow our true voice to come out. But, we cannot make others into our own image, they too have to speak out in their own voice. As authors, when we write “in the style of …,” we have reduced ourselves to a mere copy. We do the same when we act as we believe others would have us act; when we suppress our dreams, our desires, and our passions. We do the same to others when we try to influence them to “be what they should be.” Why would you read something written “in the style of Mark Twain” when you merely need to pick up Tom Sawyer? I won’t. The same is true of our lives, and the lives of others. Succeed in life, be honest, be an original, be you!